For many of us, our interest in cold fusion began last January, or thereabouts, when we heard about Andrea Rossi and his e-Cat. For nearly a year we followed the story waiting for Rossi’s big reveal in October of 2011. Unfortunately, that event was anti-climatic, and while something certainly did happen that day, we are still unsure exactly what. Yet along the way, we began to learn about new players in the game, and some old names re-emerged. Regardless, it seemed that everybody involved in this field was setting us up for that “big moment,” only for it never to come. Ahern disappeared in early December. NASA threw us a bone in early January, and then quickly snatched it away just as we were sinking our teeth into it. Defkalion promised to put all doubt to rest via independent testing, only to say “maybe later” as deadlines came and went. Arrgggg! 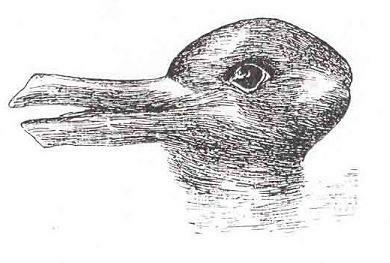 Sometimes following this story has been truly maddening. How you people who have been following this story for more than 18 months (some for two decades) have kept your sanity is beyond me. Although, admittedly, some old-timers have shown signs of the strain and one long-time “LENR expert” has apparently gone stark raving mad. Yet, in the midst of our angst, something remarkable has taken place. While many have been hoping for that one piece of evidence that they could hold up and say to the world “Hey, look at this!” many more than we had realized are not only paying attention, but have become active participants in the unfolding cold fusion/LENR saga. In addition, National Instruments is also sponsoring a lab at the physics department at the University of Bologna, under the guidance of Rossi associate and confident Prof. Giseppi Levi. NI also recently sent a large contingent of its staff to the University of Missouri for a cold fusion lecture by Mizzou’s Vice-Chancellor of Research, Dr. Robert Duncan (watch here), and will soon host a cold fusion presentation at its headquarters in Austin, TX. Include LENR in FP7 calls as research on materials as it has unlimited and sustainable future energy technology potential. Support the study in material science as a strategic approach to achieve the control of the technology. Support workshops, meetings, visiting exchanges in Europe and between European and US research institutions. Focus on the fundamental research aspects because of the synergy with other disciplines. The significance of the executive branch of the EU giving their stamp of approval to this technology cannot be understated. However, whether they follow through on the above recommendations remains an open question. But given the number of people and institutions that are now waking up to the reality of cold fusion, those who continue to drag their feet or dogmatically deny its existence are at increasing risk of being left behind, and ultimately putting themselves at a disadvantage, not only technologically but socially and economically as well. I think many in the US government, especially in the military, are acutely aware of this. The US Navy has a two decade history of continuous cold fusion research and, as has been reported frequently here and elsewhere, NASA is taking a very active role in this technology’s development. But it is not only those entities. They are many others as well, including the Naval Research Laboratory and Los Alamos National Laboratory. 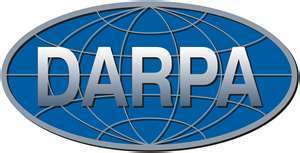 There is also active research being done by the Defense Advanced Research Projects Agency (DARPA). As was recently reported by the web site Next Big Future, DARPA is currently involved in a $34 study of nanotechnology and cold fusion is among the technologies being included in this study. DARPA is not new to the study of cold fusion. Agency documents from several year ago came to the conclusion “There is no doubt that anomalous heat is being produced in these experiments.” Yet the inclusion of cold fusion in a study of a wider range of nano-technologies, with a budget of $34 million, indicates not only a continued interest in the technology, but also an expanded one. Recent reports also suggest they are collaborating with Italian research lab ENEA on cold fusion research. 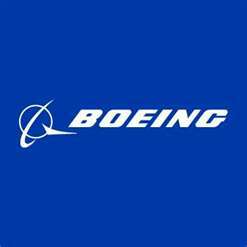 Boeing can also be added to the list of names associated with cold fusion in some capacity. According to a NASA document from May of this year, Boeing has been collaborating with the space agency regarding the feasibility of LENR-powered aircraft and space planes. The document also lists the names of quite a few employees of General Electric that were involved in the same study. It has also come to my attention via a very reliable source that another prominent American company is going beyond studies and is soon to begin its own LENR research program. Unfortunately, this is one company I am not at liberty to identify. The only thing I can say is that they are in the same league as Boeing and General Electric. What is also interesting about the article, besides sounding the call to the rest of the oil-industry that they had better pay attention to this, is the fact that the article was authored by David J. Nagel, one-time cold fusion researcher, CEO of the cold fusion company NUCAT Energy, and retired from the US Naval Research Laboratory. There is strong evidence that he was a party to independent testing of Defkalion’s Hyperion, as DGT publicly posted photos of the testing with his name attached to them. The mind wonders at what exactly he knows and what he told individuals involved in the petroleum industry. Whatever it was, it certainly grabbed their attention. Regarding mainstream news coverage, reports have also come out of the recent ILENR in conference in Virgnia that a writer for the magazine Popular Science was in attendance and is currently writing a 8-page article on cold fusion/LENR for that publication. 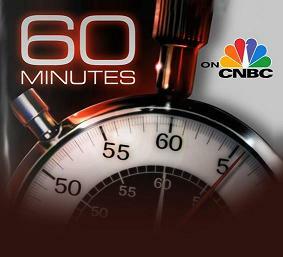 In addition, America’s premier business network, CNBC, just re-aired the 60 Minutes segment from 2009 “Cold Fusion is Hot Again.” The interesting thing about this is that the program aired in what is considered “Prime Time” for television viewing, 9:00 p.m. Also, the segment aired alongside, and actually preceded, a story about the Large Hadron Collider at CERN, which right now is the darling of the scientific community due to recent discoveries regarding the elusive Higgs boson. As a final illustration as to how the nature of the conversation has changed in the last 7 months, let us go back to Dr. Brian Ahern, who was mentioned at outset of this article. He announced in the late fall of 2011 that he would give an LENR presentation that would convince even the most skeptical LENR critic of the reality of the technology. This created quite a bit of excitement and buzz, and many eagerly awaited his planned December 7 presentation. He subsequently canceled his presentation at the last minute and created disappointment among many, and a perverse joy amongst critics and Pathoskeps. Well, Dr. Ahern is giving a similar presentation this very day, perhaps even as this is being written. The venue has changed from a fringe conference on the outskirts of New York City, to a more prominent forum, the New Energy Symposium, in the heart of NYC at 7 World Trade Center. While in late 2011 this may have been a focal, even crucial, presentation, right now it is just another in a long line of ongoing disclosures. Don’t get me wrong, it may in hindsight turn out to be important and I certainly wish him luck and hope things go well. However, whether the presentation is a great success, or even occurs at all, it will not have nearly to the impact it would have had just 7 months ago. The fact is cold fusion/LENR research and interest is now expanding rapidly beyond the ability of one person or one event to have a significant impact on the overall narrative, whether it be Andrea Rossi or Brian Ahern. Things have changed indeed. This entry was posted in Articles, News, Science and tagged Boeing, Brian Ahern, CERN, cold fusion/LENR research, EU, European Commision, General Electric, NASA, National Instruments. Bookmark the permalink. Not total on topic, but I am concerned and would very much like to hear the opinion of others. Since Rossi’s e-Cat emerged as a possible cheap new energy source, any blog mentioning the topic has been targeted by apparently professional ‘skeptics’ using a range of tactics including ridicule, accusations of deception, ad hominem attacks, half thruths, diversions and so on to attempt to derail discussion of CF. The ECN site is testimony to the success of these tactics when uncontrolled. At the same time the media have maintained a more or less complete ‘blackout’ on all news of developments, up to and including Celani’s presentation at NI Week yesterday, and more information from Defkalion today. However it is now pretty clear that the shills have failed, and CF is heading rapidly towards public disclosure, probably from many directions simultaneously. Does anyone else see it as extremely curious that just at his time a ‘paper’ appears by an obscure researcher called Fran De Aquino of Maranhao State University, Brazil, with the title “Engineering the Ni-H Bomb”. The paper’s thesis appears to be that a canister of nickel powder of unspecified grain size or surface preparation is gas-loaded with deuterium (not hydrogen as specified in the title) and then becomes a potential bomb waiting to be set off when ‘activated’ by the natural magnetic field of the Earth, which resonates at 7.83Hz. Aquino’s ‘bomb’ (basically just a pile of nickel dust in a deuterium atmosphere) is then supposed to detonate by total fusion of the protons in the nickel, the yield apparently being calculated on the basis of the total number of nickel atoms in the heap of dust. It is supposedly prevented from doing so by a mu metal magnetic shield, which when destroyed by an explosive charge in turn allows the ‘bomb’ to explode. My impression is that this whole ‘paper’ is complete hogwash – not intrinsically any more convincing than the rubbish posted a while back by someone calling himself ‘Chan’, about CF powered explosive bullets and similar, but I am not qualified to properly assess it and I would be very interested in the opinions of those who may be. “Basically, these bombs are made of Nickel powder (99%), liquid deuterium and Mumetal. These materials can be easily obtained. Due to the simplicity of its construction, these bombs can be built at the very location of the target (For example, inside a house or apartment at the target city.). This means that, in most of cases missiles are not necessary to deliver them, except for launching the Ni-H bomb at the height of explosion (<1Km ‡ ) when necessary. Thus, the Ni-H bomb so far seems to be the simplest atomic bomb ever to be built. It can be made by every nation, in such a way that, peace in the World will be reached in the future due to the equilibrium of forces among nations." Am I being paranoid or is this just way too convenient for a fake fear agenda? It’s great to see this story covered on web sites like Clean Thinking. It is just another example of the increasingly diverse interest in cold fusion. Amoco was also investigating LENR in 1989. “Unfortunately, this is one company I am not at liberty to identify.” Pulling a Rossi, Ben? NI certainly appears to be following the money and hype on this one; do they smell expanded funding or what. And speaking of hype, it’s seemed to have reached a fever pitch. I sure hope some of it bleeds over into reality and into results, publicly available, third party verified, results that is. Please note, Vibronic Energy Technology Corp. is Dr. Ahern’s company and all references on the NES site refer to his company and not to him by name.